Its like getting its rank up by 10 once in 2 or 3 days! Never seen any manga growing that fast . Hey the new chapters are out ladies and gentlemen! ENJOY!!!!!!!!! Edited by Phantom_999, 12 December 2014 - 02:01 PM. Thoughts after reading the chapter: Damn just Damn... words can't describe what just happened. I wanna know what happens next. I do feel he'll eventually go down the Saucegay path. It wouldn't be too hard for the one pulling the strings to take advantage of his ego and envy and have him join their side. 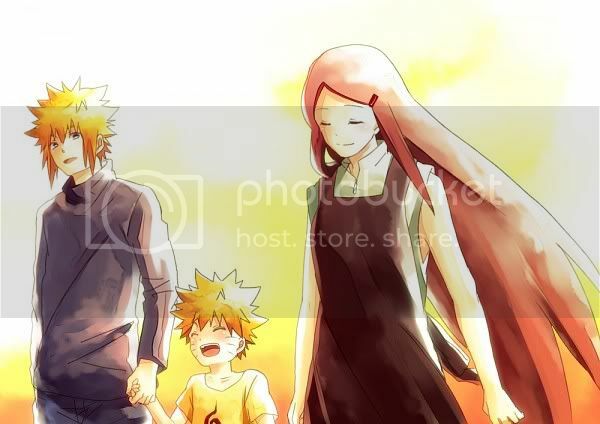 And this time, I feel that it will be slightly better than the whole NaruSasu thing, because at least there's better build-up. You're welcome, and you can just call me Phantom. Finally caught up! When I got to Ch.18, I was like:"I can't wait until next week!" But I'm so kittening confused about everybody's names! Everytime when i start a new manga, it takes forever to remember who is who. In here we already given so many characters with everybody's Quirks. What I like about our main character is that he's smart. Yes, most of the shounen heros I've personally seen were dumb. It really is great to see a hero who is analyzing his surrounding and the weaknesses of his opponent instead of rushing into a fight like an idiot. Can't wait for next chapter! Have you guys already picked out some of your favorites? I know it's hard to decide with only 18 chapters, but you gotta favor someone! I personally like Midoriya, Iida, Todoroki, and Yaoyoruzu right now the best. Same characters here too. And i am really interested in kaachan . He reminds me of sauce. And in this one the pairing is pretty much clear isnt it? I agree that's what I like about our main character too. As far as favorite goes I know his real name is Midoriya, but I call him Deku. He's one of my favorite favorite characters, Ochako is another one she's pretty funny and her personality is unique, and I gotta say All Might fits into that category too. The Dr. Hands antagonist is pretty interesting, and creppy ehh I get chills every time I see him. 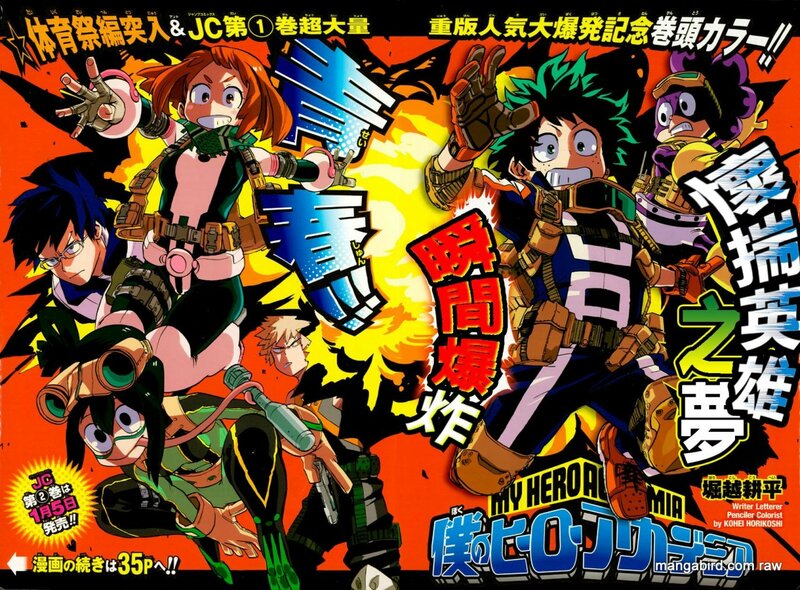 As far as pairing goes, I mean based on how things are going right now I gotta say Deku and Ochako seems to be where this story is going to take them. However we've still gotta see where it goes from here. Chapters 19 and 20 did come out a couple days ago, but from what I heard the pages got scattered so I think they're currently reuploading up at the moment. I agree, it's pretty obvious that Deku (lol, I'll always use this name when I'm talking with you about Midoriya) and Ochako are gonna be a thing. I personally hate Ochako's hair (I'm still trying to imagine what it would look like in real life), but her personality is ok. 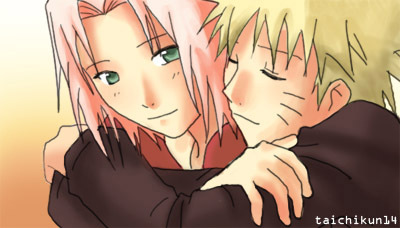 I'm glad that with Naruto's ending, I now feel the urge to find other animes and mangas. Usually, I try to find mangas that are fairly new so that I can join a fandom in its hype and discussions. I know One Piece for instance is a great manga, but it's been yrs since I've stopped reading it. You get discouraged catching up with hundreds and hundreds of Chapters (maybe next summer, who knows). It was easy to catch with Boku no Hero Academia, however. When do new chapters for this series usually get released online? Edited by trang95, 14 December 2014 - 09:53 PM. To me the most obvious pairing is IzukuxOchako. I'm not necessarily shipping them right now, but I'll see how their relationship will progress in the future. EDIT: Lol, I know what you mean with Sauce know XD How could I have forgotten that XD? Edited by trang95, 15 December 2014 - 02:28 AM. I'm not sure what the spoilers were, but I saw a chat about someone saying chapters 19 and 20 were out, but the pages were scattered and that's why it got taken down. Yeah I'll admit Ochako's hair is a bit hard to picture realistically and hate bringing Naruto into this because I know a couple people have bringing similarities to it, but Ochako's hair kinda reminds me of Rin. That might just be me though. About One Piece I'm still trying to catch up with it, the last place I stopped was pre-timeskip everything after I kinda stopped so I have no idea what's going on now. Now as far as when this series comes out, I mean at the moment japan is at chapter 23 or 24? so we are only behind like maybe a three or four chapters. I mean before the chapters would always come out every other day, and up until chapter 14 the releases have been kinda become like two chapters a week or something like that. The mentor-student relationship is one of best things about this series, tbh that's actually one of the few things that got me hooked with this series. I do feel like something bad is gonna happen to All Might, and I hoping that nothing does. However death in a manga (unless it's Fairy Tail or DBZ) for the good guys is inevitable. Wow and this manga has just started too, maybe there is a lot of hope for this manga. I do see an Anime series coming for this series, and I'm hoping either Toei Animations or A-1 pictures (The studio behind Sword Art Online II) is behind it. PS Chapter 19 just came out, and ...... Damn what on earth is gonna happen next?? Edited by LuckyChi7, 15 December 2014 - 04:16 AM. First of all, Ch. 19: Wow, just wow. All Might deserves my respect for going over his limits and punching the crap out of the Noume. And again, however, I can't help but be worried about him. I do think he will die in the future, but I hope it will be a few years from now. Now All Might wants to fight Mr. Hands guy (lol, what's his real name btw?). Japan is already on Ch.24/25? This kind of Chapter difference is normal I guess when it comes to new mangas. 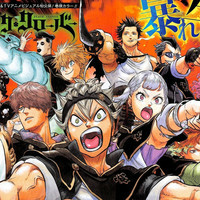 The more popular the manga becomes, the earlier and faster the chapters should come out online. No no, I think I get what you are trying to say about Rin's hair. In certain scenes, the haircut does resemble Ochako a little bit (of course not the back part). Toei should keep its hand of this manga. I'm damn pissed with the way they sometimes treat One Piece. I don't watch it, but I do get to hear enough rants from people when they are fed up with fillers and Rebecca's big Chest fansservice. Let A-1 do the job. They animate Fairy Tail and SAO&SAOII. I would also accept Sunrise which did Code Geass. Edited by trang95, 15 December 2014 - 05:35 AM. I'm not sure what his name is, but I've been calling him Dr. Hands for a couple chapters now, and it's quite amusing. As far as All Might goes I'm hoping it's a few years from now, but we'll just have to wait and see. Oh seriously, I haven't been watching One Piece Anime since Skypia so I had no idea how bad they're handling the anime nowadays. Yeah defintely A-1 seems like the best route to go for this series, and Sunrise could work too. I was also thinking maybe the anime studio that made Fate/Zero and Fate/Stay Night. Ufotable-the one that is doing Fate/Stay NIght & Fate/Zero- is the best anime studio in my eyes. But it depends on what kind of anime this series would get: Just a short 24 anime series? Or a long running one? Ufotable has such a high budget for Fate/Stay Night that this animation quality is only possible for a short series run. It is practically impossible to continuously keep up with this type of animation quality. I rather hope for a new long-running anime, so A-1 or Sunrise would be a good choice in my eyes. Since Fairytail I don't think there has been any major long-running anime. This series might be the next continued anime, who knows? Edited by trang95, 15 December 2014 - 07:15 AM. I think All Might's death is inevitable at some point. One guy on tumblr proposed a possible scenario of the villains finding out All Might's Quirk and then they try to trap him to extract his Quirk, but All Might forces Deku to kill him so that it doesn't fall into the wrong hands and Deku would bathe in the blood of his mentor. By bathing in All Might's blood, it unleashes One For All's true potential. Yes, it's mighty dark for a series like this, but it makes a hell lot of sense and symbolic. As for an anime.... Actually, I wouldn't want BokuHero to be animated by A-1, not with how they're handling Fairy Tail as of lately. Granted, long-running series tend to have lower budgets or even outsource most of their episodes. But if BokuHero is going to be a long-runner like the Big 4 (that includes FT, btw) then it's likely that they'll have very average animation and production quality at best like the above. One way to avoid this is doing it on a seasonal basis like SAO, but it's highly likely they won't due to it being extremely profitable no matter how low the production quality is. Edited by Codus N, 15 December 2014 - 07:13 AM. Ufotable-the one that is doing Fate/Stay NIght & Fate/Zero- is the best anime studio in my eyes. But it depends on what kind of anime this series would get: Just a short 24 anime series? Or a long running one? Ufotable has such a high budget for Fate/Stay Night that this animation quality is only possible for a short series run. It is practically impossible to continuously keep up with this type of animation quality. I rather hope for a new long-running anime, so A-1 or Sunrise would be a good choice in my eyes. Since Fairytail I don't think there has been any major long-running anime. This series might be the next continued series, who knows? That's something I noticed during the first couple chapters of the manga when it came to All Might. Though from what I hear the mangaka was inspired by Naruto during Part 1 (I believe) so it doesn't surprise me that there are some similarities going around. Plus to me at least the whole rivaraly between Deku and Katsuki is a much better version of Naruto and Sasuke's. Now as far as Anime studios are considered A-1 pictures seems like the likely canidate, but we'll just have to wait and see. That is actually a really good theory, and if it goes down that path then all hell would break loose from Deku's p.o.v. haha imagine the look on Katsuki's face if we witnessed that happening. Plus like you said it makes sense and make it symbolic. Madhouse Bones could work, and we could speculate on it all day if we could. If Boku No Hero becomes a seasonal or a long running anime then I'd be satisfied either way. Ugh... I swear if Pierrot gets there hands on this believe me people are receive worst nightmares upon seeing me in sight. If it's Madhouse Bones then fine because they did the anime of Death Note justice (with a few tweeks to certain scenary but that's about it) so I can trust them. A-1 or Madhouse either way I'm sold. The rivalry b/w Deku and Katsuki definitely parallels the one b/w Naruto and Sasuke. It's so obvious. Oh Madhouse would be good, too! Anything besides SP and Toei is ok in my eyes tbh. "MHA will be on stage at Jump Festa 2015!! Send us your ideas for Quirks on Twitter!! Just use JF15[...] For you submissions!! 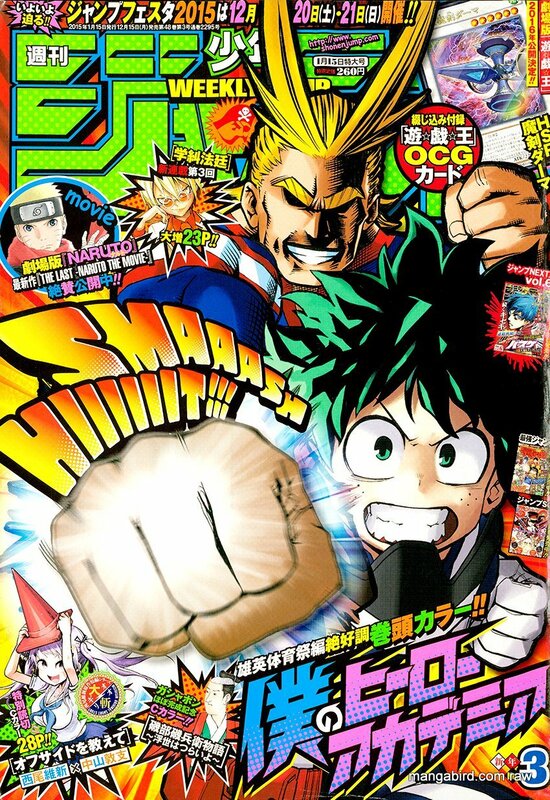 Might Horikoshi-sensei make the winning entry a hero in the series?!!" ... So the author might possibly introduce a new quirk/character suggested by the fans?! Edited by trang95, 15 December 2014 - 10:57 AM. Edited by trang95, 19 December 2014 - 02:27 AM.